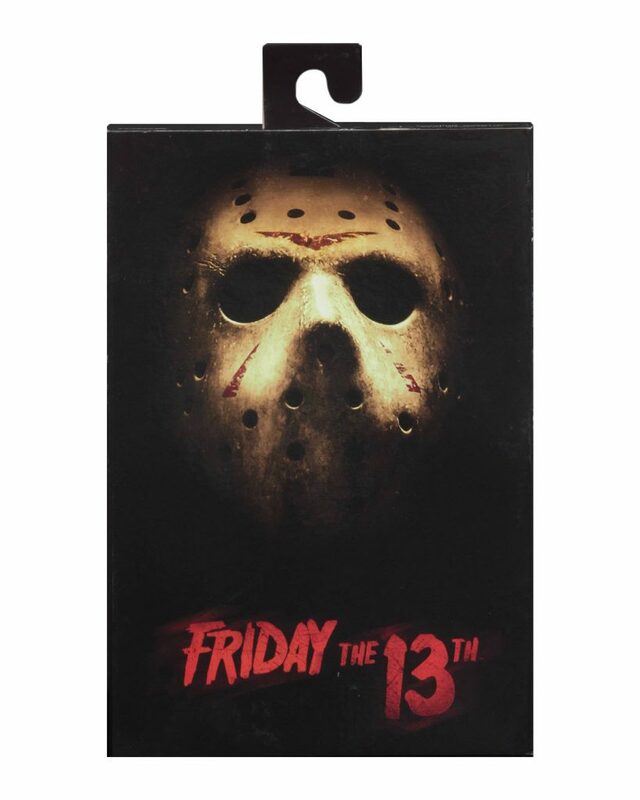 Jason Stalks and Slashes his way to a store near you soon! 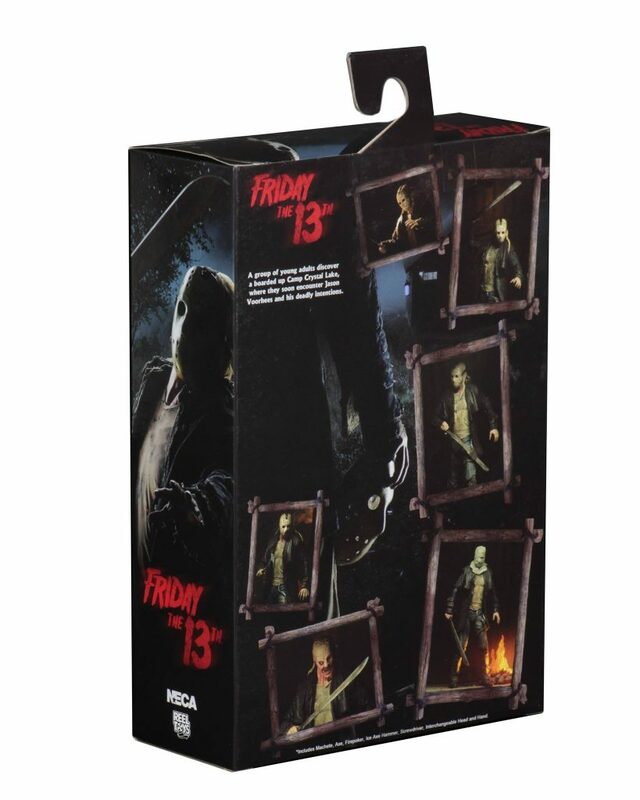 Last year NECA revealed that NECA will be releasing a ultimate Friday The 13th 2009 Jason Voorhees. 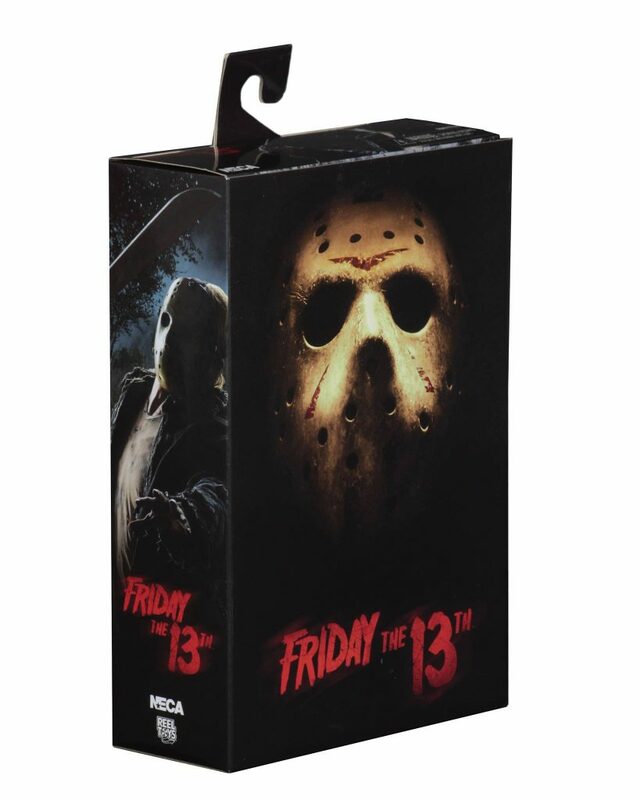 Now it’s getting closer to release with NECA revealing packaging shots of the figure. 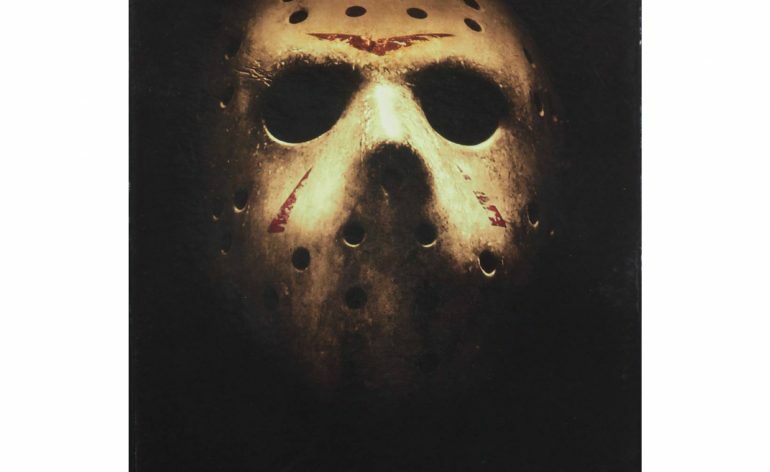 I’m a big fan of the film and look of Jason in this film and I was ecstatic when NECA announced that this Jason will be getting the ultimate treatment. Now seeing it in packaging makes me want it even more. 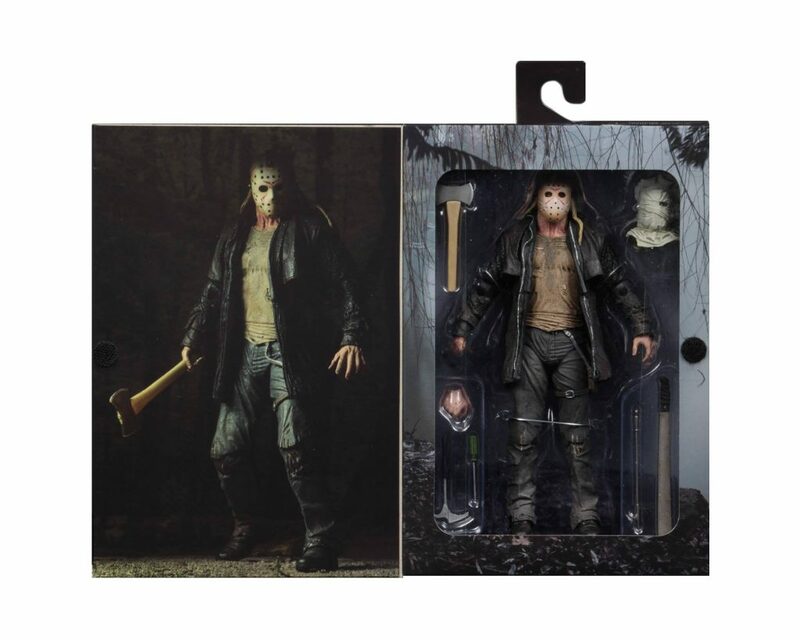 As I’ve stated before Jason comes with a removable mask, an interchangeable bag mask head, machete, axe, screwdriver, fire poker, and a hammer. He also comes with a sheath for his machete and an interchangeable hand. I have to say the packaging looks fantastic I really love the look of the mask on the cover. Hopefully the figure will be hitting store shelves soon as this figure looks excellent!